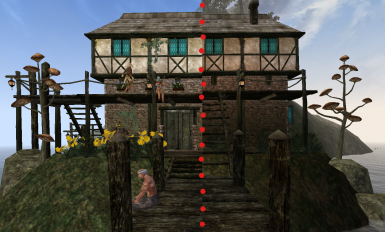 Thanks to Brucoms for developing the TES3 Readme Generator this readme was made with. and Princess_Stomper for the scrip help. in the form of a plugin. This is as much his work, as it is mine. Thanks to Dongle for the sheetmusic models. *Sir Gawain for the scripted alchemy set. 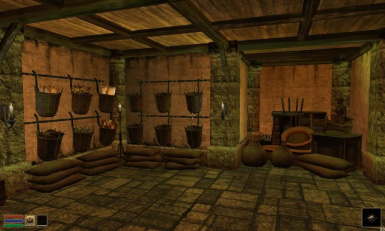 *Archimaestro Antares: Npcs animations and corresponding items as well as the animated gondolier. 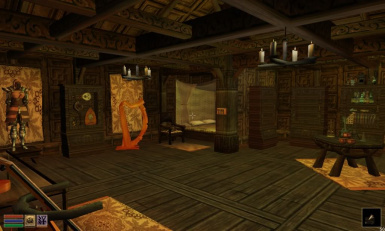 *Abot: Take my place mod (scripts renamed) and the scripts for the inn's gondolier. Massive thanks to the beta testers: Feneroe, DarkDiva and a.k.a Betty. Huge thanks to Abot who made a custom-tailored gondolier for the inn and put up with a lot of questions. **Tracks 1 to 10: played professionally by Thomas Berghan, and downloaded as free resources. 17. McMahon's is also known as The Banshee (or Beansidhe in Gaelic). 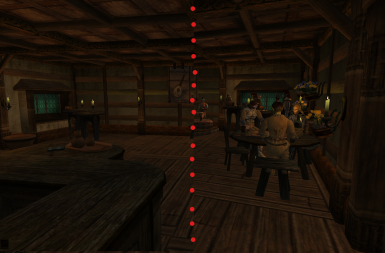 This mod covers many aspects of being a Bard in Morrowind. Play 40 different tunes because you like music. Perform in inns to earn gold and based on your skill, get food and lodging as well. Collect music sheets which in turn, teach you a spellsong. Spellsongs are only available when you have the corresponding music sheet and a lute equipped. Spellsongs will help your companions, cripple you enemies, some of them will also affect the player. Hostile bards: in caves, dungeons, stronghold. Kill them and get the spellsong. Compose your own songs: As you get experience, you make create new Spellsongs using blank music sheets, a quill and an inkwell. Collect playing lutes: Each Spellsong will become more efficient if played with better playing lutes. Sing powerful songs. These cost no magicka at all and do not require a lute. They can however be used only once a day. 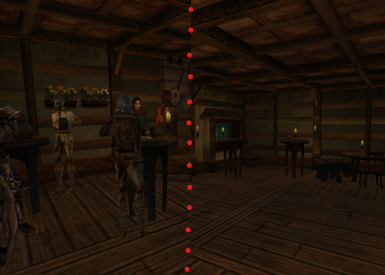 Open you own inn and gradually add new features to see new customers flock. The more features you build, the more customers will appear. The private quarters have ample themed storage, an alchemy lab, a scripted mannequin, a bathroom and space to display your instruments. The basement has even more storage and hutches to display all glasses, cups, bottles and plates of the game. Monthly profits increase as you improve your inn. Collect and display instruments in your private quarters. Traders and pawnbrokers sometimes sell them. Leveled list: sometimes found in crates and chests. Talk to fellow bard to find out where you can buy a dozen new instruments. Meet your fans: as you gain popularity and expand your inn, Npcs will recognise you and give you small gifts. While all these features are open to any bards, spells, songs and performances vary depending on the bard package you choose. 5 new classes have also been created but they are optional and independent of the package you choose. Bards are loremasters and storytellers. They crave adventure for the wisdom and insight to be gained, and must depend on spellsongs, potions, and enchantment to preserve themselves from the perils of their educational experiences.The Bard travels the land with his companions. Well versed in music and lore, he makes a living playing his lute in taverns. Even though he is lacking in combat skills, his music can strengthen companions or weaken enemies. The Skald: The support package. The Skald is a bard that goes to battle to support his companions. He is hardy and wears heavier armour than most bards. When forced into combat, he prefers the spear. Like all bards, he is a fine speaker and relies on potions and to some extent, enchanted items. Can learn 20 Spellsongs, a lot of them will buff companions. The Diresinger is a bard that specialises in crippling and controlling his enemies. When he fights alone, he'll weaken his enemies with a songs and finish them with daggers or bows, though he will prefer to send companions or even minions. Like all bards, speechcraft and alchemy are part of his arsenal. Can learn 20 Spellsongs, most of them will cripple opponents. Performance: play the lute and sing, and even then, sad and depressing songs. The shadowdancer is the bard most suited for solo adventures as he specialises in songs that will improve himself. He relies on potions and magic items for support. Travelling often alone, he is a proficient armourer and dabbles in Mysticism. The Jester is often underestrimated. While his talents allow him to make a living performing in inns, he knows more songs than any other bards. The Jester relies on tricks and deception and is the most proficient spellcaster of all the bards. Oh, and there is a companion, Irullan, who will be able to do more for the player as time goes by. She sets up camp (a scripted tent with bedrolls) or gives you the camping gear. She honestly tells the player about his bardic talents. She scouts the area (detect creatures) and draw a map of the region. She picks up ingredients as you travel across regions. Those born under the sign of the Wanderer are gifted with greater endurance and a better understanding of the world thanks to their many travels. Look for a notice on the door of inns in large cities. Find a lute, any lute from the vanilla game will do. Talk to a fellow bard for advice on how to play the lute OR talk to a publican to skip the quest where you learn how to play the lute and start making some gold. Be advised that your wages will start at a lower rate if you choose this option. Either way, your lute will be exchanged for a playing lute and your first music sheet. Look for Irullan, a scout in a Tomb near Seyda Neen. After a short quest, she will join you.